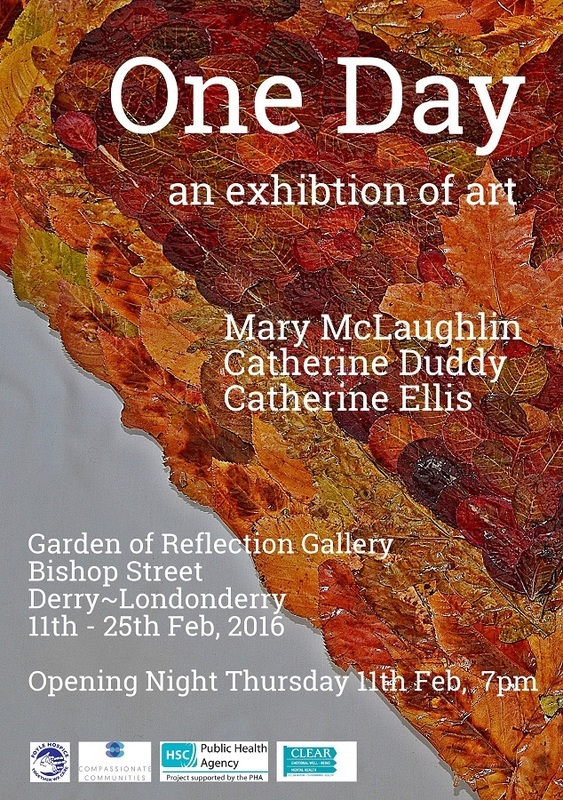 Mary McLaughlin, Catherine Duddy and Catherine Ellis are the artists taking part in the exhibition ‘One Day’. The aim of the exhibition is to increase an awareness of unseen issues which are a result of isolation felt when challenging situations arise. Art has thepower to transcend psychological boundaries, which can be difficult to communicate verbally. The exhibition is the result of the individual artist’s interpretation of themes relating to issues covered by the Compassionate Communities project, that hope to engage communities and work collaboratively with local service providers to enable independent living.